Whopper's Bunker: Not off the hook yet! After months of consideration, Attorney General Eric Holder plans to appoint a special prosecutor to examine allegations that terror suspects were abused at the hands of their CIA interrogators. 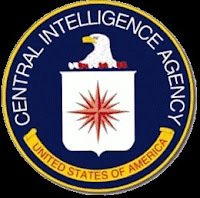 The decision, comes as the Department of Justice releases a 2004 report from the CIA's inspector general detailing allegations of harsh interrogation practices. The report includes claims that interrogators threatened at least one prisoner with a power drill and also conducted mock executions to scare detainees. The move would reverse the policy of the Bush administration and could expose CIA employees and agency contractors to criminal prosecution for the alleged mistreatment of terror suspects in the years after the Sept. 11 attacks. President Obama signed off on setting up a special interrogation team that would be placed at the FBI but report directly to the White House-based National Security Council. Though such work typically falls to the CIA, one senior U.S. official told FOX News that the CIA did not want to house the new initiative. "They're glad to be out of the long-term detention business," the official said. The unit's structure would depart significantly from such work under the Bush administration, when the CIA had the lead and sometimes exclusive role in questioning Al Qaeda suspects. Harrump. I call upon the Colonel to say a few words on the sad passing of Senator Kennedy's. Truly a legend inhis own time. Rust and dried blood look an awful lot a like.